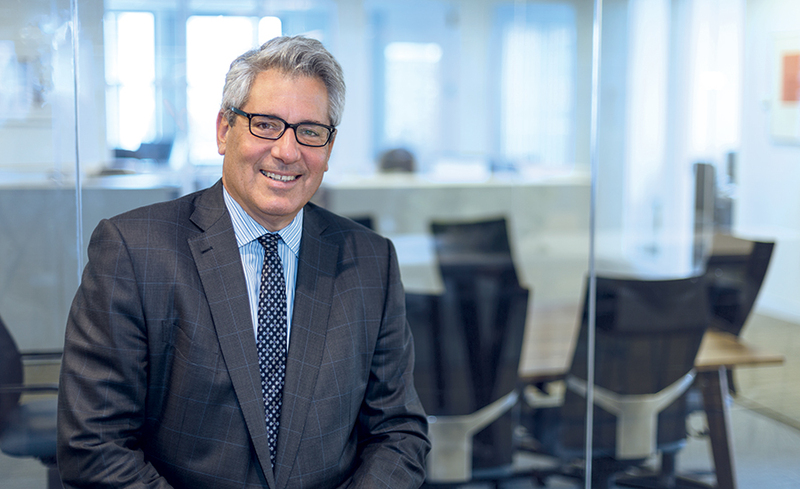 David Feinberg formed Feinberg Hanson because he realized that there was a mismatch between large law firm practice and the needs of entrepreneurs and smaller, high-growth businesses. For nearly 30 years, he has dedicated his energy to representing entrepreneurs and investors in venture-backed and pre-venture businesses. He works with companies from inception through exits that typically involve complex merger and acquisition transactions. David’s clients range from local start-up companies to multinational businesses, investors and entrepreneurs around the world that are active buying, selling and financing companies. Building on his core expertise in the technology sector, corporate and venture finance, as well as mergers and acquisitions, David has grown to be a trusted legal advisor. He helps a diverse array of leading entrepreneurs and investors in Boston, New York and throughout the United States, Europe, Asia and Latin America tackle their day-to-day business challenges. Although his practice includes many middle market companies, he continues to advise start-up entrepreneurs as they form and finance their companies. ‍Granahan McCourt Capital in multiple acquisitions and entrepreneurial activities. Feinberg Hanson has served as principal counsel to seasoned executive and entrepreneur, David McCourt, through multiple acquisitions and start-up enterprises. Recently, we have assisted Mr. McCourt in acquiring two telecommunications companies in Ireland and a satellite technology company in The Netherlands, with multiple investments in early stage data analytics companies and in forming a global web media company. Through these activities we have navigated complex issues of international tax and corporate law, coordinated our activities with multiple global law firms and coordinated the legal activities of Mr. McCourt’s core business development team. Excel Venture Management. David and his team at Feinberg Hanson regularly represents Excel Ventures in its venture capital investments in health tech, life science and related IT and medical diagnostic sectors. Feinberg Hanson not only drives deals to closure, but also provides balanced advice as Excel works through issues involved in negotiating and completing significant investment transactions with high-growth health-care and technology companies. Beliefnet.com, LifePosts.com and other new media companies. David represented Beliefnet.com through its formation and multiple venture financings and ultimately its sale to Twentieth Century Fox. When Beliefnet’s founder started a new, web media company named LifePosts.com, he again turned to Feinberg Hanson for counsel. We have also represented a variety of other new media companies, including Surface Travel Inc. (backed by Greycroft Partners) and Playground Sessions, a music education company backed by Quincy Jones. RxAnte,Inc., a population health management business focused on prescription drug use. Feinberg Hanson served as counsel to RxAnte, and advised its board of directors as it weighed multiple Series B financing offers and ultimately accepted a complex unsolicited strategic acquisition proposal. When the board decided to accept the acquisition offer, Feinberg Hanson negotiated and successfully closed a very intense and highly structured acquisition transaction. ‍PARx Solutions, Inc., another prescription services business, with its initial financing, bridge financing and growth equity financing led by a global marketing and advertising firm. Like many of our transactions, were presented PARx as it negotiated and closed a game-changing financial transaction. ‍JSwipe in its sale to the public company that owns JDate in a life-changing transaction for the three young entrepreneurs who founded JSwipe. The transaction involved complex negotiations around earn-outs, restricted stock and cash hold-backs. The JSwipe sale represents one type of transaction in which we love to engage–leading first-time entrepreneurs through the maze of M&A negotiations. ‍Generation Equity Capital in its various financing, fund formation and acquisition activities. Feinberg Hanson serves as general counsel to this small private equity firm and engages in all legal aspects of its financing and investment activities, oftentimes through intense and complex negotiations. ‍SLIPS Technologies, Inc., now known as Adaptive Surface Technologies, Inc., with its spin-out from Harvard University, formation and equity financings. Feinberg Hanson serves as counsel to this start-up developing highly slippery compoundsas it negotiated its technology spin-out from Harvard, arranged financing with strategic investors and continues in the development and financing of its business. Feinberg Hanson is regularly retained in technology spin-outs from Harvard, MIT, Northeastern and other universities. Industrial Ecology Management with its global development of water infrastructure and purification processes, including the negotiation of acquisitions and financings of multiple entities and the organization of substantial activities in Latin America. Numerous start-ups as they form their companies and finance their growth. Literally no week goes by without entrepreneurs approaching David to represent them as they form and start their businesses,seek financing or sell their businesses. David spent five years as a corporate associate at Cravath, Swaine & Moore in New York City, where, among other engagements, he represented Time Incorporated in connection with its historic merger with Warner Communications and specialized in mergers and acquisitions and securities transactions. In 1992, Mr. Feinberg joined Foley, Hoag & Eliot LLP, where he served as a partner until he resigned from his partnership to form an internet start-up in 2000. After selling his company, he realized that entrepreneurs needed an alternative to large corporate law firms to obtain top-quality legal services and formed The Feinberg Law Group, now Feinberg Hanson, to help energize start-ups and entrepreneurial businesses.